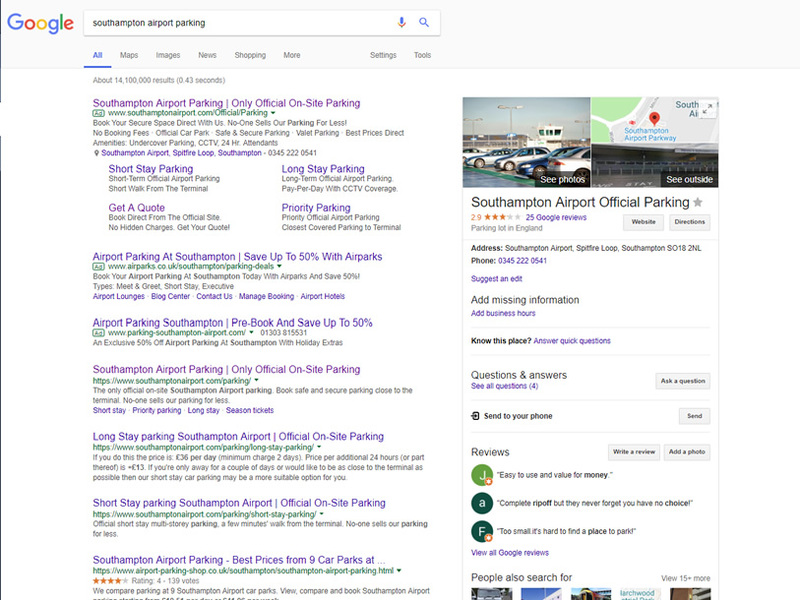 A modern and well located airport like Southampton is a hit with business travellers throughout the year and holiday makers at peak season. 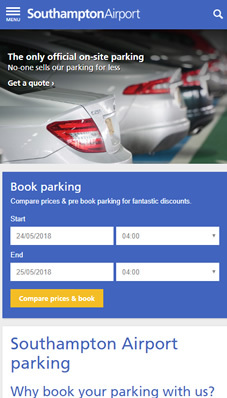 Parking at Southampton Airport is one of their most profitable areas of the business, we were tasked with making it as profitable as possible. Secondary to that, they wanted to build awareness of their package holidays and city breaks. A clear challenge and we couldn’t wait to get stuck in. The bid rate for the main key term had been set very high. The client always maintained they wanted No.1 position for peak season, but we found that they were still paying over the odds. So, how could we bring the quality score up and the bid rate down? Easy. We submitted a trade mark exclusion to stop competitors using Southampton brand terms and a subsequent loss of revenue to them. We also ran a series of A/B testing on landing pages to increase the CTR. We have built a close relationship with their agency partners so that we can work collaboratively on making their online services better, so that their customers' benefit. By using AdWords experiments we were able to implement a CPC reduction strategy to help reduce overall costs by 68% and increasing ROI by 85% while average positions remain the same. The results for the first half of the year have surpassed the clients expectations and now we’re looking to work closely with the web agency to improve the conversion rate. Working on behalf of Condor we were asked to consult on the build of the UK and French websites and test the ‘load time’ for 1,000 concurrent users.